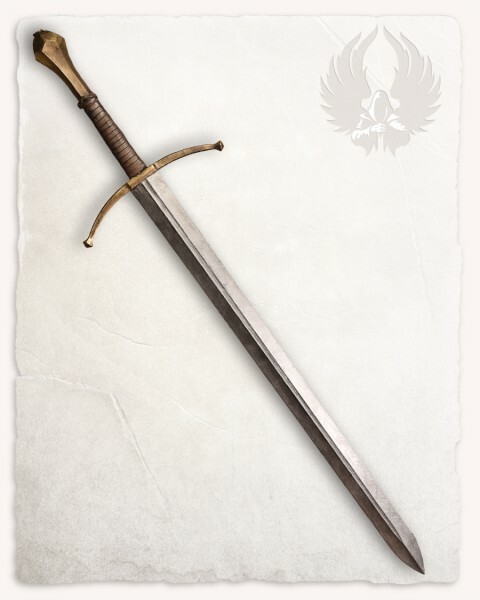 This replic of a medieval longsword is made by "Wyvern" in Germany. The safetyblade was developed with IDV Engineering and stands for quality, longevity and a realistic look. Disclaimer: All items shown here were especially designed to safely portray fights in controlled environments like liveroleplay events, theater stages etc.. The foam weapons are made with a glass reinforced plastic rod as a core, fully encapsulated in soft foam to avoid injuries.